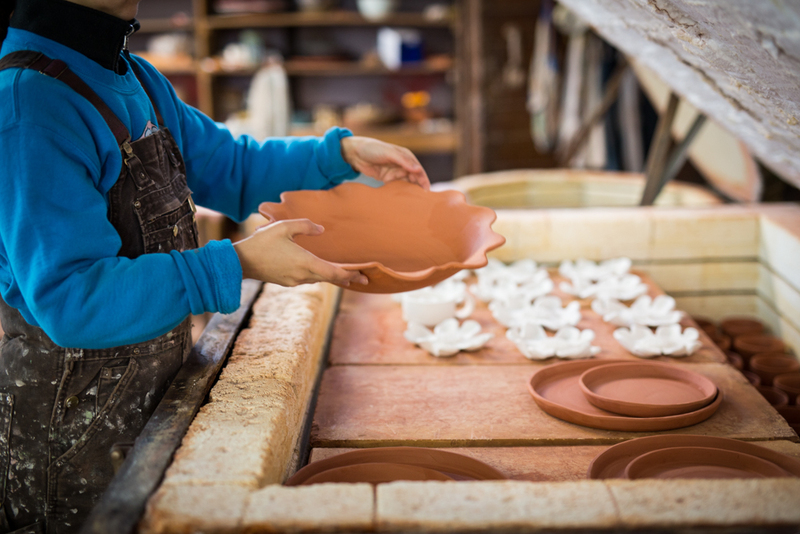 Today, her gentle, natural aesthetic shines in the handmade ceramics for which she's known. 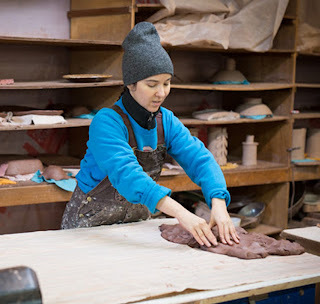 Her studio inhabits an old produce warehouse in her native Georgia, where each piece is lovingly pressed, shaped, fired and painted in luminous mix-and-match hues. 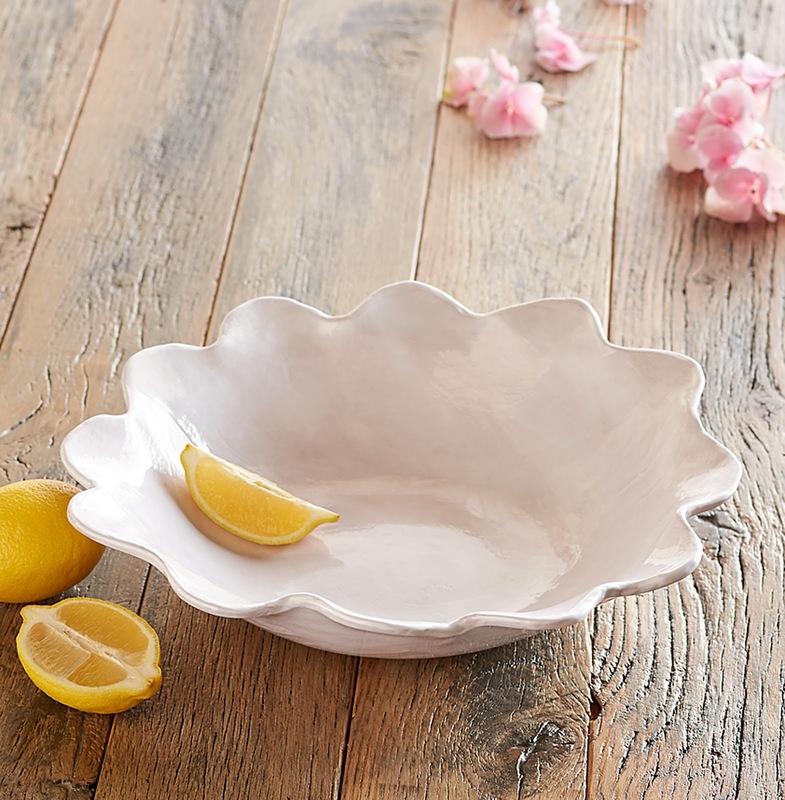 This season, Wood, has crafted a beautiful scalloped bowl, aptly called the Divinia Bowl. The beautiful patina and texture of the handmade bowl is a result of Woods' 25-year old pottery studio hand brushing glaze on North Carolina red clay. About the bowl, Wood notes, "I've been a lifelong student of nature. 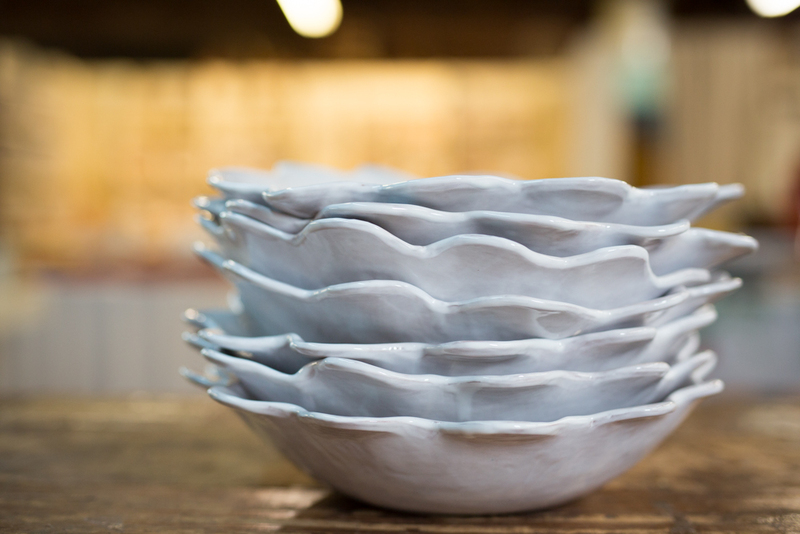 I spent my childhood in the woods and creeks of Georgia, always studying nature's forms and the open shape of the scallop bowl is one of my favorite recurring forms. She continues, "It is the branches of the trees reaching for the sky, it is the shape of the flower opening to the sun. it reflects openness to life, and that's why i love it." 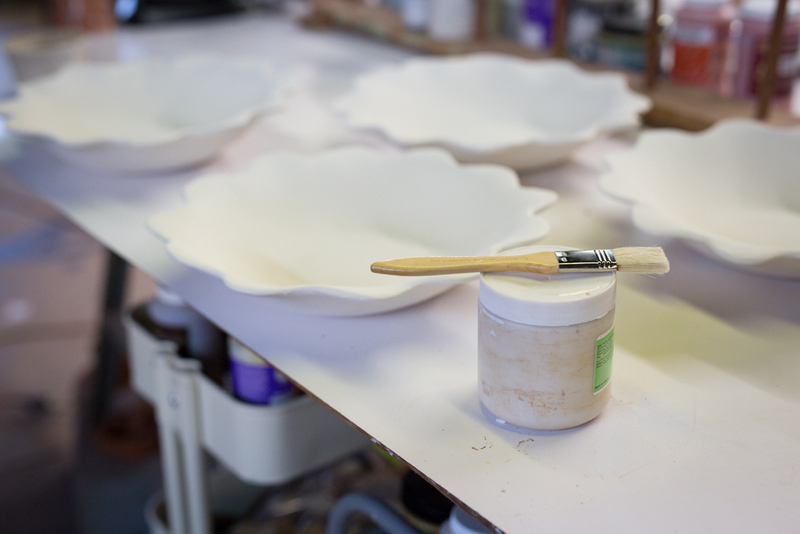 Discover the Divinia Bowl and explore the rest of her collection here. 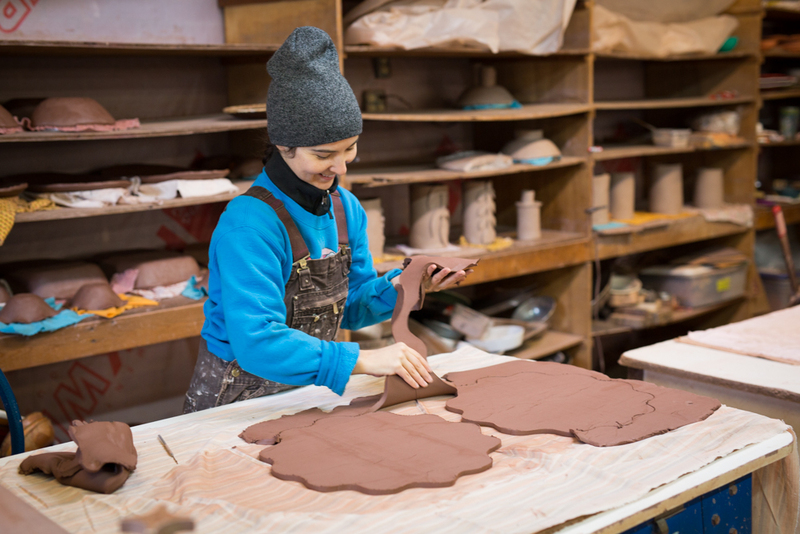 Enjoy these behind the scenes photos of her process.